Welcome to our Robinson Township PA Dental Office! Welcome to the Robinson Township dental office of Ryan J. Rupert, DMD. At Robinson Township Smiles, our goal is to provide high-quality dental care to families and people of all ages. When creating healthy mouths and smiles, we work hand-in-hand with you, taking your needs, desires and budget into account. At our office, you will be our partner in your dental care. It’s important for us to take the time to listen to and understand your dental goals. Whether you're coming in for a routine cleaning, Invisalign or dental implants, we believe in treating our patients the way we would want our own families to be treated. Dr. Rupert has had his fair share of dental issues. As a child, Dr. Rupert was missing ten teeth, and therefore has had to undergo a great deal of dental work through out his lifetime. This dental work included; two rounds of braces and six dental implants. Dr. Rupert understands your fears and concerns and will always go out of his way to make sure that your treatment is as comfortable and gentle as possible. While no dentist wants to see patients in pain, Dr. Rupert can personally relate to your dental issues and provides compassionate care, free from judgment, regardless of the current state of your dental health. He will work together with you to create a treatment plan that will fit your unique needs and an at home-care routine that you can commit to with confidence. Whether you need routine twice-yearly examinations and cleanings or you have complex dental issues, Dr. Rupert offers the treatment you need. Additionally, Dr. Rupert is dedicated to honing his craft and invests many hours broadening and improving his skills. Dr. Rupert works to stay on top of the latest techniques to bring you state-of-the art care, improving the efficiency, comfort, and effectiveness of your dental treatment. We are looking forward to becoming a partner in your dental healthcare. 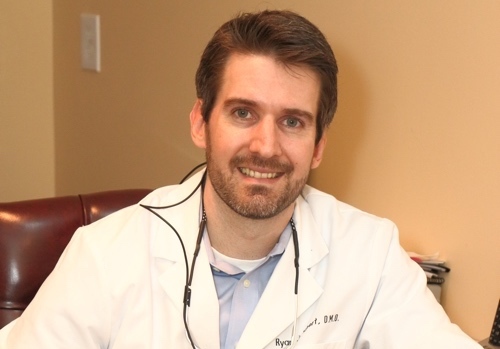 Give us a call today to schedule your appointment with Ryan J. Rupert, DMD! Dr. Rupert brings a high level of empathy and understanding to the practice of dentistry, meeting your family's needs with compassion and a personalized care plan. ""I like the ease of appointments. I broke a tooth on my birthday and called them on a Sunday and they were very willing to get me in ASAP because ..."